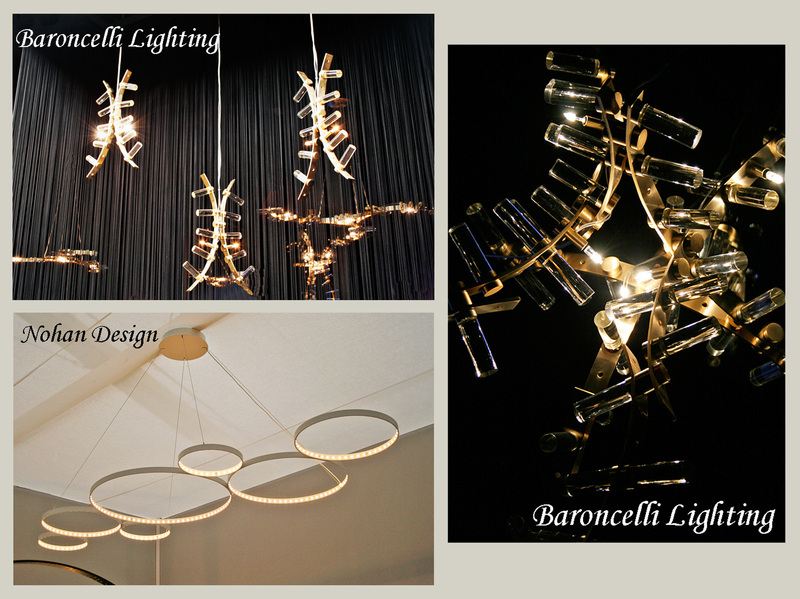 I didn’t photograph every light at Decorex 2011, far from it, but snapped some which caught my eye for various reasons. 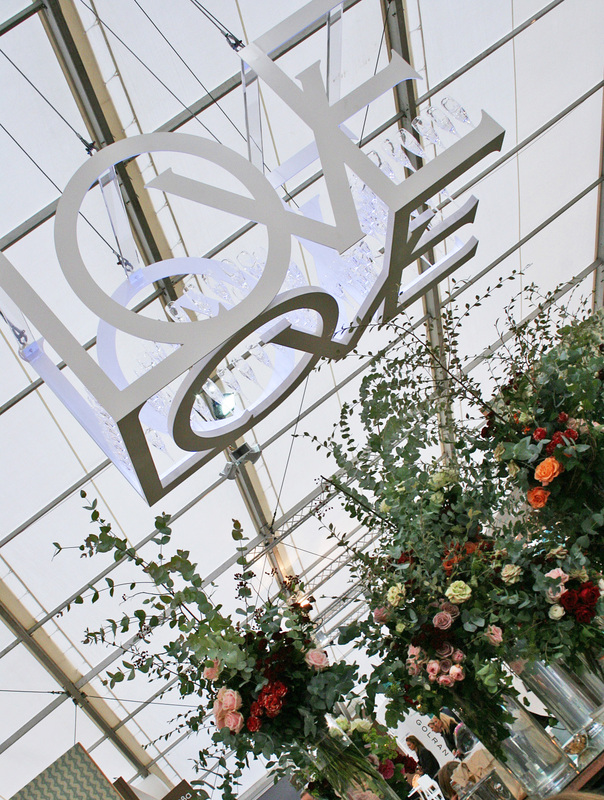 How fabulous is the Love light above with it’s glamorous display of champagne flutes – I want one! There was a definite ethereal feel to a few of the pendant lights on display and I especially liked the Pinch Design version, top left. I’ve a feeling we’ll be seeing more of these stiffened organza and natural fibre shades in months to come, giving a romantic touch to a room with their organic shapes. The Spina Design lighting and furniture with it’s luxurious art-deco feel and dip-dyed tassels were much photographed at the show, hardly surprising this glamorous company have been designing bespoke items for Ms Beckham recently. This amazing metal chain light by Italian company Terzani to the right uses cutting edge technology but still manages to create a delicate and sophisticated effect. There was a sense of something vertical about lighting at the show, lots of linear effects in pattern, material and style. 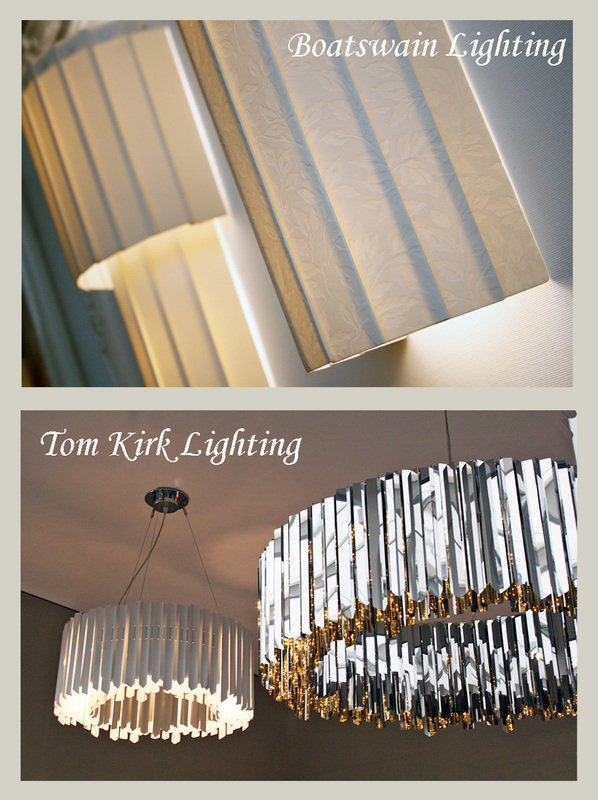 I adored the mirror polished steel and acrylic Facet chandeliers by Tom Kirk and also the (as usual) spectacularly elegant translucent porcelain designs by Boatswain Lighting. Finally two of the more contemporary and daring designs at the show. It’s rare to see an LED focused light which is simple, elegant, stylish but still functional, however this design by Nohan ticked all the boxes for me as a dining room centrepiece, I think it’s stunning.